We are a full-service family owned and operated company truly committed to excellence. We service commercial, industrial and residential contracts with over three generations of professional quality asphalt paving services. We pave hundreds of clients a year and 65% of those clients are derived from satisfied customer referrals. Lenihan paving is fully insured. Owner and operator Justin Lenihan supervises every job site from start to finish. 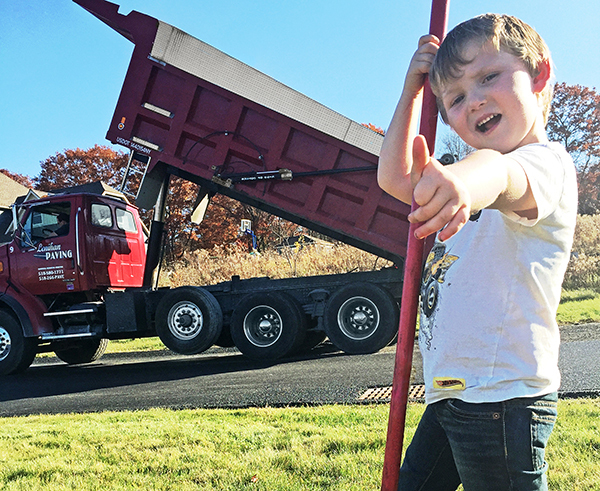 As a third-generation company we have built our solid reputation based upon an uncompromising commitment to professional quality asphalt paving with the latest in paving technology and state of the are equipment. We are confident that our trained craftsmanship and expertise will meet the highest standards of honesty and integrity to handle any size project, with a price that is fair and affordable.